Simcoe Logistics is a dedicated, resourceful and enthusiastic third party logistics provider that brings over 20 years of transportation experience to service our customers. 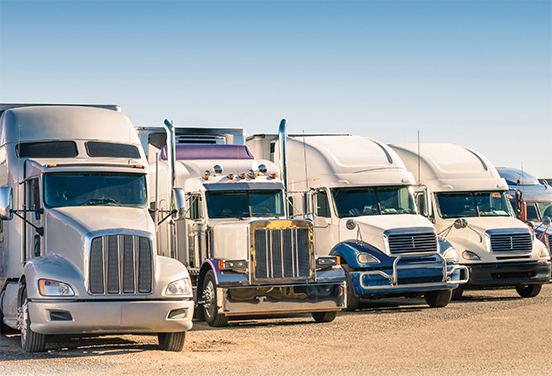 From every freight quote we receive, we look at all options to present the best competitive rate that the transportation market has to offer without sacrificing the quality of service. While building a strong rapport with our customers, we work extremely close with them to determine what their freight requirements are, and what will work best by selecting the right option through a network of hundreds of approved carriers across North America. We always begin the shipment process by locating the proper equipment for each load based on the freight requirements. The appropriate truck is then dispatched for pickup at agreed date and/or time. As the shipment moves through the en route stage, our customers are always kept updated with daily reports by 11am until the shipment gets delivered and confirmed by the consignee. At Simcoe Logistics, we want our customers to make that one call and let us handle the rest because in today’s supply chain industry, there are a couple of important factors to consider that Simcoe Logistics offers: Communication and Service you can rely on. Our mission at Simcoe Logistics is to provide the supply chain industry with reliable and cost effective freight solutions by adding value through communication, experience and exceptional customer service that our customers can rely on. Simcoe Logistics is a complete logistics provider that is dedicated to offering reliable freight and cost effective solutions for inbound and outbound transportation services throughout North America and around the world. We strive to provide the highest level of customer service by offering live dispatch 24 hours, 7 days a week for the convenience of our customers to give them peace of mind through all stages of the shipment process. SIMCOE LOGISTICS ©2017. ALL RIGHTS RESERVED.